February 2018. I reached the peak of my career after 23 years in London. I was a sales and marketing director, earning enough to take care of my family – not quite 6-figures a year, not far off – and enjoying eating in fine restaurants and enjoying expensive holidays in the UK and abroad. So what did I do? I gave it all up and became a penniless author. Did I think I would earn a living as an author? Was it a mid-life crisis? No, I had that in 2010 when I lost my sales job in the recession. So what happened, how did I survive, and how did I take care of my family? The home phone was ringing. The only people who call me at home are my mother, my wife and sales people who do a terrible job trying to sell me things I didn’t need – not sure who was worse. I’ve taken risks my whole life – the problem is that most risks have led to horrible failure. Aged 18, I avoided university to become a rock star. I was an Indian teenager from Belfast with Woody Allen glasses, it wasn’t a pretty picture. I spent our wedding money putting on a play in London. Act 1 was awful and everyone left. Act 2 was brilliant and nobody saw it. I spent 18 months writing my first novel, Heaven’s Delight – it was a wonderful idea that was badly executed. A rebellious angel has 7 days to help 4 couples fall in love. If she succeeds, she goes back to earth. If she fails, she goes to hell. Back in 2006, self-publishing was new and expensive. I got into debt of £6,000. My second book, The Magnificent Lassi, was a twist on children’s magic novels – the kids were British Indians and it was based on Indian mythology (although many years later, it’s similar to the X-Men movies). I met so many agents and publishers who liked it, yet they said there was too much competition in magic with JK Rowling, Eoin Colfer Roald Dahl, Philip Pullman etc..
A few got optioned, Naachle London got made in 2012 and was shown in cinemas across London for a week. I went to Hollywood for 3 years. Most agents, managers and producers said I was awesome and that they wanted to work with me. So, with my daughter planning to go university, we needed money – and having paid off most of my Hollywood debts, everyone was worried this was just another impetuous choice – and they had every right to worry. I explained to them that Winston Churchill once said “success is going from one failure to the next without loss of enthusiasm”. I tried to convince everyone I wasn’t insane and was simply trying to finish my book, Everybody Works In Sales. It’s so hard writing a book when you have a 9-5 job. Even harder when you have a family, friends and charity work. I needed to spend 4-5 hours a day finishing the book and 2-3 hours a day selling the book to everyone I knew and didn’t know. When you hit 45 years old, your attitude towards life changes. It’s about making a positive difference and helping others. It’s not about selling millions or hitting it rich, which we all know is a long shot. Most sales and business books have lots of stats or personal development and inspirational quotes we’ve heard 1000 times – I wanted my book to be different. People connect with stories and remembering them is easier than stats, so I wrote this as my autobiography. After all, people have always been fascinated by my story. Born in working class Belfast during the terrorist-driven 1970s. Failing as a rock star. Having an arranged marriage to a woman I knew for 20 minutes. Refusing university education because school education taught me nothing about life or how to survive it, so what could university possibly teach me? Then why did I write a sales book? Every day we get sold to. Badly. At home, on the phone, at exhibitions, by post, people are always selling to us and 80% are awful. I want to raise the standards of sales. In addition, many people don’t want to sell, because they’re shy or they associate sales with sleazy car salesman or bad estate agents. I wanted to break down the myths and show that selling is part of everyday life. The great sales people I’ve met have integrity and come from a place of service. I’ve learned a lot from them and also from 23 years working in sales. So what did I do to sell my book and grow my business? With my love of personal development, I made two smart investments. 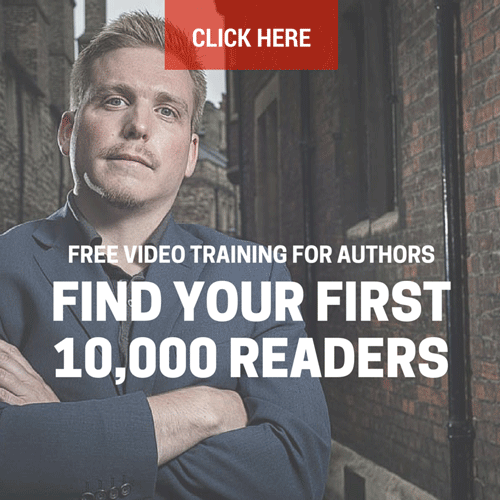 I hired Richard McMunn as my book coach and invested in Nick Stephenson’s Your First 10K Readers course. Richard helped me cut 20 pages of negativity and make it more aspirational and positive. He also pushed me hard and kept me accountable like any good coach. Nick’s course taught me the finer details such as. How to create Amazon ads. How to improve your Amazon ranking. I was scared of being on camera, so I hired Gordon Ramsey lookalike Martyn Jordan to record a video promoting my book – I got more comments, likes and feedback on Facebook and LinkedIn on that than anything I’ve ever done. Many people even thought he was Gordon Ramsey. No group emails. No hard sell. Every single person was individually contacted. Not enough people talk about this, yet it’s so important. The stress working for yourself is greater than any corporate company. Your work harder for less pay – which would stress anyone. So every day I walked 20 mins in the morning, 20 mins at lunch and 20 mins in the evening. I ate more greens for more energy. You need so much energy to be successful. Choose Your Book Release Carefully. Research shows Tuesday is the best day of the week to release a book, so I released it 20th March. Why 20th of the month? Most people I know get paid 20th and 21st of the month. Boom. Everybody Works in Sales reached #17 under Business. Book sales rockets under Kindle which outsold 11: 1 paperbacks. If you work 9-5, you assume people who work for themselves have it easier; no commuting, working from home, spending time with family, sounds lovely. I’ve learned to appreciate everyone owning their business, every freelancer – you have to work twice as hard. There’s no guaranteed salary end of the month and you get paid when clients decide to pay you. That causes some scary moments and banks don’t care if clients pay late. I’ve also surrounded myself with an excellent networking – or as Nick described it, my dream team. I was very British about the whole thing since I’ve lived in England now for 26 years and didn’t want to bother anyone. When you write a book people like, they reach out to you and want to be part of your world. That was unexpected, so it was easier asking them to be part of my team to share my articles and social media posts. There’s no substitute for hard work, so ignore everyone who says you can become a successful author, or wealthy entrepreneur by working a few hours a week – you can’t. Embrace social media. My LinkedIn has grown 120% to 1,477 connections. Twitter has grown 90% to 750 and Facebook has grown 50% to 470 people. Speaking for free to build your profile. I have spoken at every networking event. Despite presenting to board level and having done business with Microsoft, MTV, BT and many huge names, now I don’t have a big corporate name behind me, people are more impatient, less trustworthy and give you less time – so sharpen up those pubic speaking skills. I’ve spoken for free over 20 times and this led to me running sales training at Natwest, University of Buckingham, Cranfield Innovation Centre and some big names to be announced. Don’t try and please everyone – I was desperate to help microbusinesses since they need the most help – unfortunately, most microbusiness (businesses with 1 or 2 people) don’t have the budget or the mindset to invest in sales coaching. They’ll throw extra money at Google Ad words, send more mails, more tweets, yet most don’t have the intelligence to invest in sales coaching. So walk away and find those who appreciate what you do – for example, I know my ideal clients are entrepreneurs and small-to-medium enterprises. Finances – I needed 12 months salary – and I had to wait 60 days for my Amazon royalties to come through the first time – so after speaking at every event I could, people bought my book, then hired me as a sales coach – that’s not a quick process. It took 30-45 days which meant I had to borrow £5,000 to stay afloat. Running a business always costs more than you expect. I’m now earning £1,700 per month and it’s only month 5. It’s less than what I used to earn in the corporate world, which has made it a struggle at times – and I’m grateful to have my wife supporting me. With upcoming sales training at big corporations, 121 coaching and my first full day event before end of the year, I will be back to my full salary by February 2019, 12 months after I started. And from there, the opportunities are limitless. Niraj Kapur is an expert sales coach and author of the Amazon bestseller, Everybody Works in Sales, which is available on Kindle and paperback right here. 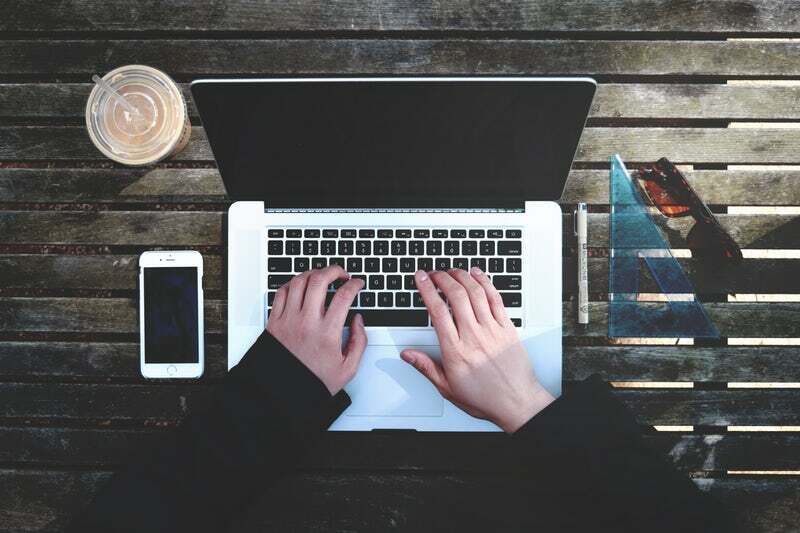 And now we want to hear from you: how do you juggle your writing and business with a full-time job and family commitments? Do you have a plan for “going full time” on your business? Let us know in the comments below! I enjoyed reading that. Thank you. However, it worked very well for Niraj writing a non fiction book with opportunities to take up coaching posts but how does it work for fiction writers like me? Is it simply the same process? Or, is there some other path you have to follow? It’s going to be different for everyone, Graeme – how do you think you’d adapt this for your business? (Another thing you’ll find is something that works for, say, a Crime author, you’ll get 100 people saying “How does this work for Romance?”). I would like to see the book promotional video. Any link please ? Good post. Some tips here to be used fast! Two years ago, my job changed my pay from salary to hourly and told me I was required to take an hour for lunch. The first words out of my mouth were, “What am I going to do for an hour?” I thought about it for a second and then said, “Fine. I’ll write a book during my lunch.” Twenty months later, “Hollie” was published. I have tried many times to stop you from debiting my bank account. I am still yet to even have a reply. And I have no where else to go to try and contact you. Please respond… what the he’ll am I paying for? I have received nothing !